I know it’s been pretty quiet and this blog as been pretty neglected, but don’t worry guys I’m making a comeback. 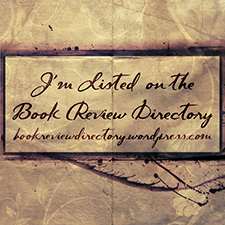 I will once again be accepted book review request…so send them my way! Also I have started a new blog so come join me on my journey into the world of EMS…Click here! Posted in blogs, coming soon and tagged Ambulance, Book reviews, Books, EMS, EMT, new blog. Bookmark the permalink. Posted in blogs. Bookmark the permalink. When famine visits Bethlehem, some hold out hope for rain, while Naomi and her family make a long journey to Moab in search of greener pastures. The harvest there is plentiful, and for a time it appears the Lord is blessing them. But when calamities strike, one after another, Naomi is left alone in a foreign land with only her widowed daughters-in-law for comfort. Downhearted and destitute, Naomi is determined to return to Bethlehem alone. But her daughter-in-law Ruth refuses to leave her side. Despite the fact that she and Naomi will almost certainly live out their days in widowhood and poverty, Ruth holds out hope for a better future . . . and maybe even a second chance at love. Life always seems to get in the way of the things we love the most but, when I saw that Jill Eileen Smith’s newest novel, Redeeming Grace, was out I just couldn’t let life stop me. One devoted woman is about to discover the power of love When famine visits Bethlehem, some hold out hope for rain, while Naomi and her family make a long journey to Moab in search of greener pastures. The harvest there is plentiful, and for a time it appears the Lord is blessing them. But when calamities strike, one after another, Naomi is left alone in a foreign land with only her widowed daughters-in-law for comfort. Downhearted and destitute, Naomi is determined to return to Bethlehem alone. But her daughter-in-law Ruth refuses to leave her side. Despite the fact that she and Naomi will almost certainly live out their days in widowhood and poverty, Ruth holds out hope for a better future . . . and maybe even a second chance at love. Life always seems to get in the way of the things we love the most but, when I saw that Jill Eileen Smith’s newest novel, Redeeming Grace, was out I just couldn’t let life stop me. Redeeming Grace is the third book in the “Daughters of the Promised Land” series and is not to be missed or set aside for a later reading date. Jill Eileen Smith thoroughly researches in order to bring the story of Ruth, Boaz, and Naomi from the Bible’s Old Testament to life. The story tells one of my favorite bible stories of three individuals who were brought together by loss, grief, and through the grace of our God. I highly recommend reading this book. I will be reading this one again. I received this book free from the publisher through the Revell book bloggers program. I was not required to write a positive review. The opinions I have expressed are my own.
. Jill Eileen Smith thoroughly researches in order to bring the story of Ruth, Boaz, and Naomi from the Bible’s Old Testament to life. The story tells one of my favorite bible stories of three individuals who were brought together by loss, grief, and through the grace of our God. I highly recommend reading this book. I will be reading this one again. Posted in Fiction and tagged Books, christian, Reading. Bookmark the permalink. Dani had planned to spy on Brett–so how did she end up on a date with him? Dani Prescott can’t believe the lie Brett Somers is trying to sell to the media. During an interview about the plane crash that killed his parents, he blamed Dani’s mother. But the crash killed her as well. Vowing to restore her mother’s reputation, Dani has been following Brett and taking photos, hoping to find something she can use to discredit him. But when she catches his eye instead, she quickly finds herself agreeing to a date. Brett knows this mystery girl is hiding something–but he’s got his own secrets to keep. What will happen when he discovers who she really is? Johnnie Alexander is quickly becoming one of my favorite authors. I wasn’t disappointed with this second book in the Misty Willows series. I would suggest that you read this series order. It is worth reading the first book first, not only because it is a great story in its own right but because it perfectly sets up this story. When Love Arrives is a fantastic story of the moving and sometimes tumultuous journey through anger and guilt to friendship and then love. You won’t be able to stop yourself from reading this book and you won’t be able to not fall in love with these characters! I can’t wait for the next book in this Misty Willow’s series. Amy’s story promises to be fantastic just from the short teaser at the end of this book. I really hope you add this book to your ever growing to-read list. Posted in Fiction and tagged book review, christian, Fiction, Reading. Bookmark the permalink. Lydia King knows what it’s like to be in need, so she joins the Teaville Moral Society hoping to help the town’s poor. But with her father’s debts increasing by the day and her mother growing sicker by the week, she wonders how long it will be until she ends up in the poorhouse herself. Her best chance at a financially secure future is to impress the politician courting her, and it certainly doesn’t hurt that his mother is the moral society’s president. Lydia’s first task as a moral society member–to obtain a donation from Nicholas Lowe, the wealthiest man in town–seems easy . . . until the man flat-out refuses. Despite appearances, Nicholas wants to help others but prefers to do it his own way, keeping his charity private. When Lydia proves persistent, they agree to a bargain, though Nicholas has a few surprises up his sleeve. Neither foresees the harrowing complications that will arise from working together, and when town secrets are brought to light, this unlikely pair must decide where their beliefs–and hearts–truly align. Melissa Jagears is a Carol Award-winning author, a homeschooling mother to three, and an extreme night owl. She lives with her family in Kansas. This book will hit you hard in the heart! Wow! This book if so full of great things I’m not sure how the author managed to fit it all in. Melissa Jagears’ book is set in the town of Teaville, 1905 Southeast Kansas with well-developed characters. Melissa Jagears’ is very descriptive without over doing it and does a good job putting bits of humor in her stories. Things today aren’t quite what they used to be way back when for women, but the message in this book still applies. This book will make you ask: Do we get involved in really helping? Do we donate to a cause and let others do the work? Or do we just sit, doing nothing, letting things happen as they will? This story deals with raw, real life issues; prostitution, dirty politics, hidden sins, a hypocritical church, dysfunctional families with secrets, and broken homes. But more importantly, it gives us faith-filled hope in Christ’s love. This novel was a fantastic read and I can’t wait to see what happens in future novels! I received this book free from the publisher through the Bethany House books bloggers program. I was not required to write a positive review. The opinions I have expressed are my own. Duty and love are powerful forces. Only one has the power to make her life complete. It is 1664 and Patience Terry is devastated to learn that Captain Jeremy Horton’s ship has been shipwrecked off the coast of Barbados. There were no survivors. She had hoped that Jeremy would someday give up the sea and settle down with her in Southold, Long Island. Unaware his memorial service is being planned, Jeremy sails aboard a British warship with secret orders to attack New Amsterdam and claim it for the British Crown. When he makes his surprise return to Southold–and to an overjoyed Patience–it’s not quite the happily-ever-after his beloved had hoped for. With a finely tuned sense for authentic historical characters and settings, Rebecca DeMarino plunges you into a world of tall ships, daring journeys, and yearning hearts. Rebecca DeMarino is a historical romance author and lives in the beautiful Pacific Northwest. She is a member of the American Christian Fiction Writers, Romance Writers of America, The Southold Historical Society, and the New England Historic Genealogical Society. Rebecca is the author of A Place in His Heart, To Capture Her Heart, and To Follow Her Heart, all part of The Southold Chronicles series. Although, I didn’t get the chance to read any of Rebecca DeMarino’s previous novels, I found To Follow Her Heart was a page turner and difficult to put down. Readers get to experience through Rebecca DeMarino’s fantastic descriptions political events of the time, such as the English takeover of the Dutch colony of New Amsterdam in September 1664. Readers also get the experience the highs and lows of life in Southold, from large Thanksgiving feasts to death from smallpox. The characters in this novel were realistic. They had disagreements, were not always in love and had to learn to overcome their issues as a couple. I loved the friendships in this book and how important it is to have friends who are honest and speak truth. One thing I did not enjoy was the abrupt ending. I wish it was a little more thoroughly finished instead of cutting it off right when they meet up. Overall, this was a great novel! I received this book free from the publisher through the Revell books bloggers program. I was not required to write a positive review. The opinions I have expressed are my own. Kachi Ugo delivers a novella that will leave fantasy readers wanting more! The Uprising is a fantasy featuring a strong female character, Sarah Justice, who is all about getting her baby back. Her son has been stolen out of this time and place and into the future through a portal. And she’s definitely not alone in this mission to get her baby back. Kachi Ugo has a fantastic writing style and the story develops a great pace. Fans of this fantasy genre will disappear into this story filled with characters using Fire, Air, Water, and Earth Elementals skills. Readers may be disappointed that the novella does not go on to and leaves much up in the air. However, they are not to be let down since future books in this series will clear everything up! Fantasy readers should definitely keep their eyes open to anything come from Kachi Ugo. Posted in Fiction and tagged book review, Fantasy, Fiction, Reading. Bookmark the permalink.